Officers display a portion of a haul of animal parts—found concealed in a shipment of logs this week—at the Phnom Penh dry port on Wednesday, in a photograph supplied by the Phnom Penh Forestry Administration. More than a ton of African elephant ivory, 137 kg of pangolin scales and seven tiger skulls were among the animal parts found hidden in a shipment of timber from Mozambique in one of the largest seizures of illicit animal parts ever recorded in Cambodia. 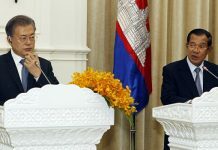 The tally of the parts, which were sealed in wax and concealed in squared logs of African Beng wood, was announced on Wednesday after the items were slowly unpacked by customs officials at the Phnom Penh dry port over the course of three days. Officials said the haul also included 82.3 kg of tiger bones and nearly 5 kg of the wiry hair found at the end of elephant tails. The total value of the parts was not disclosed on Wednesday. 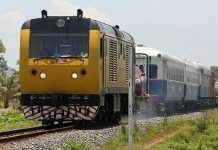 While some details about the shipment’s destination were revealed, Un Vannarith, deputy chief of the Phnom Penh Forestry Administration cantonment, said customs officials were still investigating suspects in the case. Mr. Vannarith identified Cam Transit Import as the intended recipient of the cargo, which was seized last Friday. Pol Chamroeun, a police officer in central Phnom Penh’s Chroy Changva district, said about 20 officials, including military police and forestry officials, had searched the company’s warehouse on Wednesday morning, but found nothing in the timber stored there. The company was not listed online and reporters could not obtain information about its owner. Mr. Guiry said the NGO Wildlife Alliance was assisting in investigations, as was Interpol. Staff from Wildlife Alliance have been unreachable over the past week. The animal parts are being kept in the Royal Railway Dry Port in Phnom Penh while officials decide which government agency—the Finance Ministry’s department of customs or the Agriculture Ministry’s Forestry Administration—will bring the case to court. 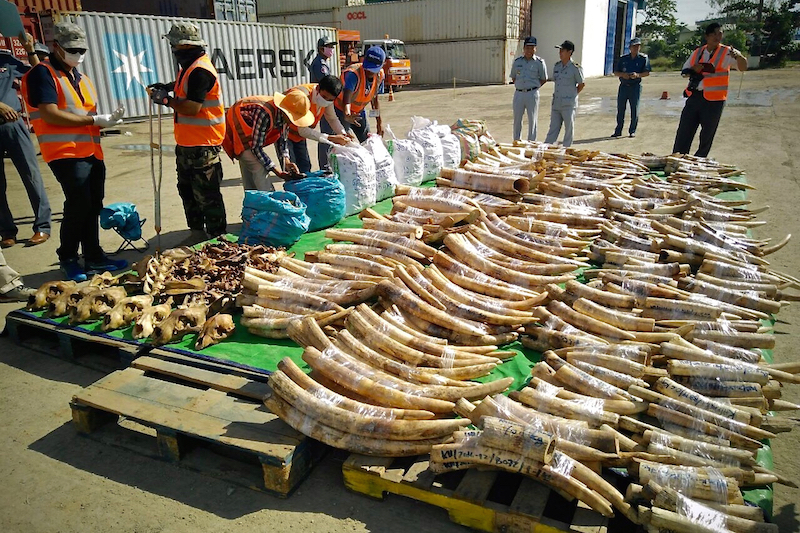 The animal parts join several other hauls of wildlife parts seized in the past year, including two hauls of rhino horns and 600 kg of elephant ivory found in a container of corn in the Sihanoukville dry port in August. Some of these seizures, along with older ivory hauls, are currently being kept in a safe in the Phnom Penh Forestry Administration office as officials decide what to do with them. 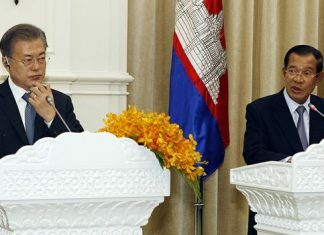 Cambodia has imported between 500 and 600 containers of timber from Africa since it began keeping records, Mr. Vannarith said. Though the intended receiver of the timber was Cambodian, it remains unclear for which market this shipment—or the other containers—was destined, though officials said China was the most likely endpoint. China is increasingly turning to Africa to fulfill its ravenous appetite for timber as Southeast Asia’s rosewood is being depleted, according to the environmental organization Forest Trends.